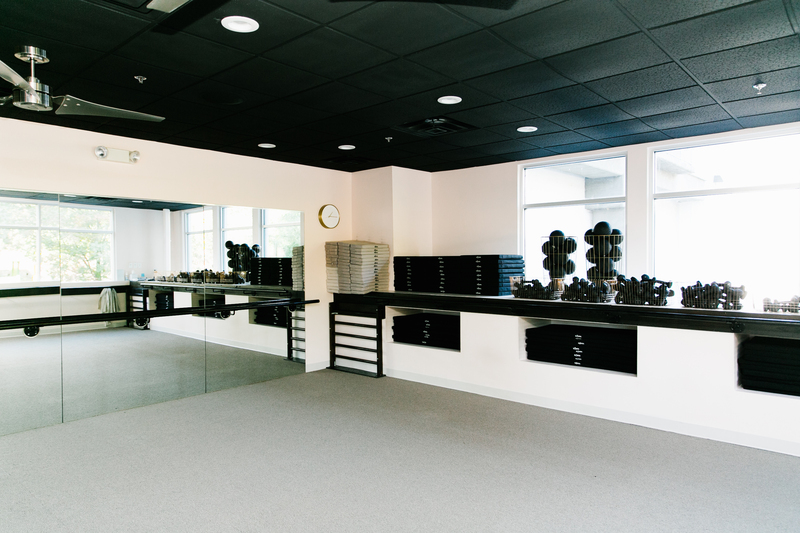 The Bar Method Nashville - Belle Meade is a boutique fitness studio offering barre classes for students of all levels. The signature method uses your own body weight, the ballet barre and a few props to create a transformative workout that results in long, lean sculpted muscles. Not only does it reshape your entire body, but it allows you to channel your inner strength and leave class feeling strong, confident and poised. Highly-trained instructors customize the exercises to ensure they are safe and effective for any age and every body, including modifications for pregnant women and students with injuries. Our staff and community are here to support you from the moment you walk through the door. The Bar Method Nashville offers an airy workout studio, a spacious locker room, and a fitness and lifestyle retail boutique. Although our address is listed as Harding Pike, we are tucked further back, behind the old Belle Meade movie theater and next to Regions bank. Maia Barbier discovered The Bar Method in Portland, OR in 2012. Maia always had an interest in wellness and wanted to live an active lifestyle, though she never found any exercise as compelling and addictive as The Bar Method. She attended class 4 to 6 times a week, and the method and the studio community gave her the mental and physical strength she needed during a challenging period in her professional life. She was thrilled to become an instructor in Portland in 2014 and even more thrilled as an owner now. She loves building community, strength, and confidence through her work in Nashville. If you cannot attend class, cancel your class online, on The Bar Method app, or call the studio to avoid being charged for a no-show. 6 AM classes must be cancelled by 8 PM the prior evening. All classes that begin after 7 AM require cancellation 1 hour in advance. Please wear exercise pants that cover the knees and socks that cover the entire foot. Childcare is free for Club Bar Members and costs $5 per child for non-members. Childcare is available during 8:15am classes Monday through Friday, 9:30am classes Monday, Wednesday, and Friday, 12pm classes Tuesday and Friday, and Saturday classes at 9:00am and 10:15am. Please see schedule, as these offerings are subject to change. We offer free parking outside the studio, street parking, and in the garage below the studio. Club Bar Unlimited members are allowed to freeze their memberships twice per year for up to 60 days and are provided two free freezes. A fee of $25 is required each time you freeze your membership after your two free freezes. Class package sessions must be used within one year of purchase. Retail items may be returned for an account credit within 24 hours of purchase, unworn, with tags still on.